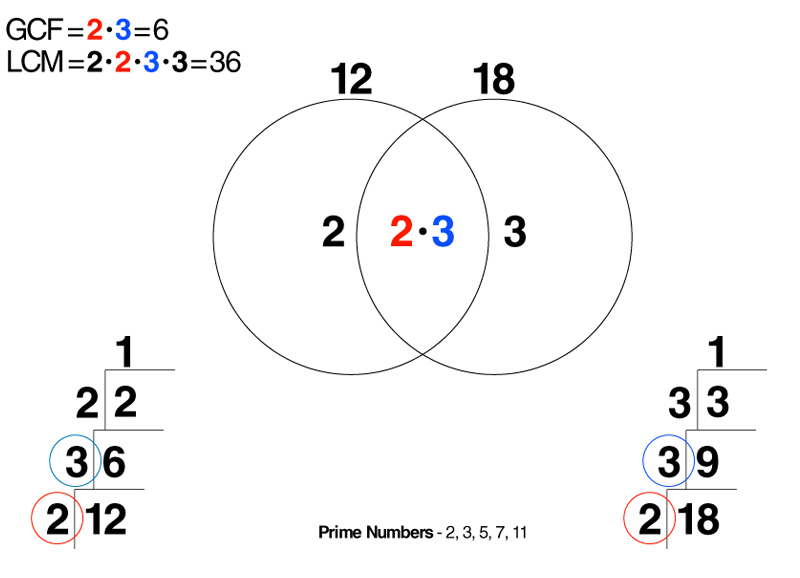 In addition to the factoring tree, try these two different ways to find the greatest common factor and least common multiple by Rebecca Newburn! Kids figure out what number goes into each of the digits (should be the same numeral). They write the number along the side line to the left. They continue this process until there is no common divisor. Then, they multiply the numbers (common divisors) on the left and presto - they have their GCF! To find the LCM, they create an "L" around the numbers to the left and the bottom row (see example below). They multiply and find the least common multiple, easy! 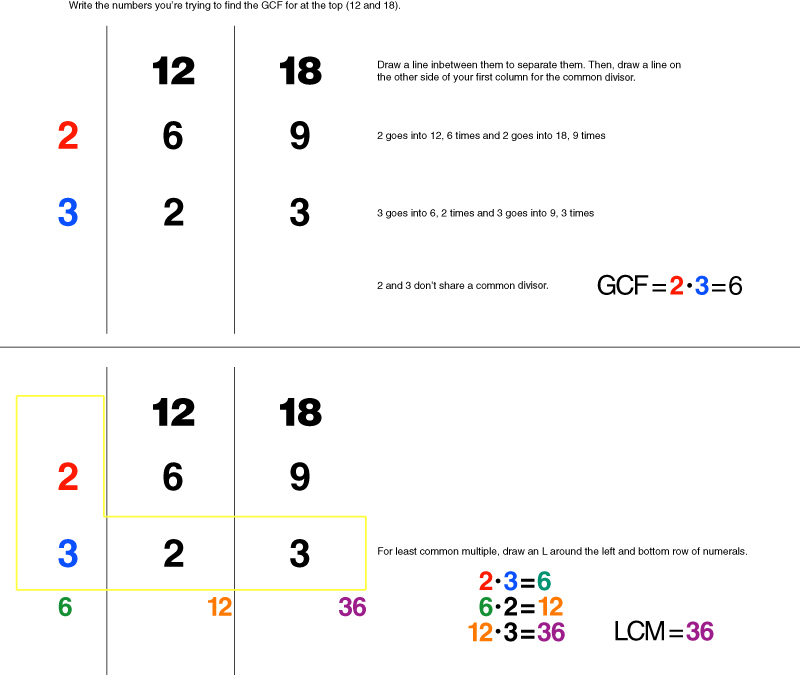 This method makes it a cinch for students to find the GCF and LCM of more than 2 numbers. Click here for a video! Kids create tiers for their "cake" (see example below), when they reach the number 1, voila, they have a candle! Then, using their "cakes," they can figure out the greatest common factor and least common multiple with the help of a venn diagram. Click here to see the process in action! Also check out Rebecca's other videos for making math simple!